Posted on 04/15/2019 by Mickey McCarter	in Interview, Preview and tagged DAR Constitution Hall, England, Gary Kemp, Interview, London, new romantic, new wave, Nick Mason, Nick Mason's Saucerful of Secrets, psychedelic, Spandau Ballet. Is there any more versatile performer than Gary Kemp? The charismatic musician and actor can play stadiums with his band Spandau Ballet and then light up the stage in London Theatreland. The creative genius today is on a US tour as a guitarist and vocalist for Nick Mason’s Saucerful of Secrets, supporting the legendary drummer of Pink Floyd in a performance of the seminal psychedelic band’s early material. The supergroup will perform in DC at DAR Constitution Hall on Monday, April 22. 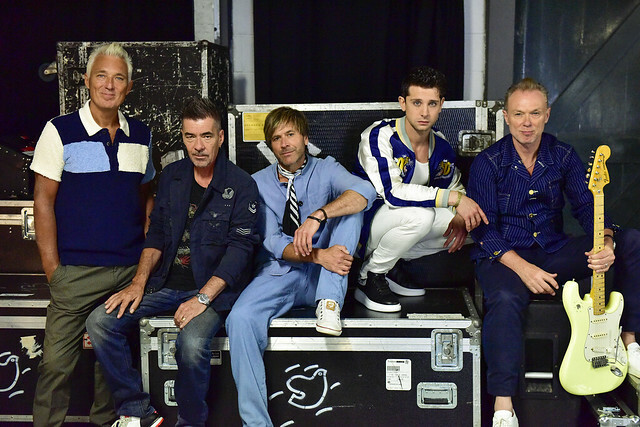 Mickey McCarter of Parklife DC chatted with Gary Kemp about Nick Mason’s Saucerful of Secrets and Spandau Ballet to discuss the future of both bands and what they mean to him. (This interview has been edited for length and clarity.) For more information on Nick Mason, visit the website of Nick Mason’s Saucerful of Secrets.